Big "groundbreaking" announcement today from the international project whose goal is to provide the first ever direct images of a super-massive black hole. Basically, a number of radio telescopes around the world operating at a wavelength of 1mm have been meshed together to create a telescope the size of our planet. With this, sufficient detail should be available to provide an image of what is happening around the central black holes in our own galaxy and also the giant galaxy M87. ... that image is of the Super Massive Black Hole at the centre of the giant elliptical galaxy M87. As far as I know an image of the SMBH at the centre of our galaxy hasn't yet been released. Both were the subject of the EHT project. 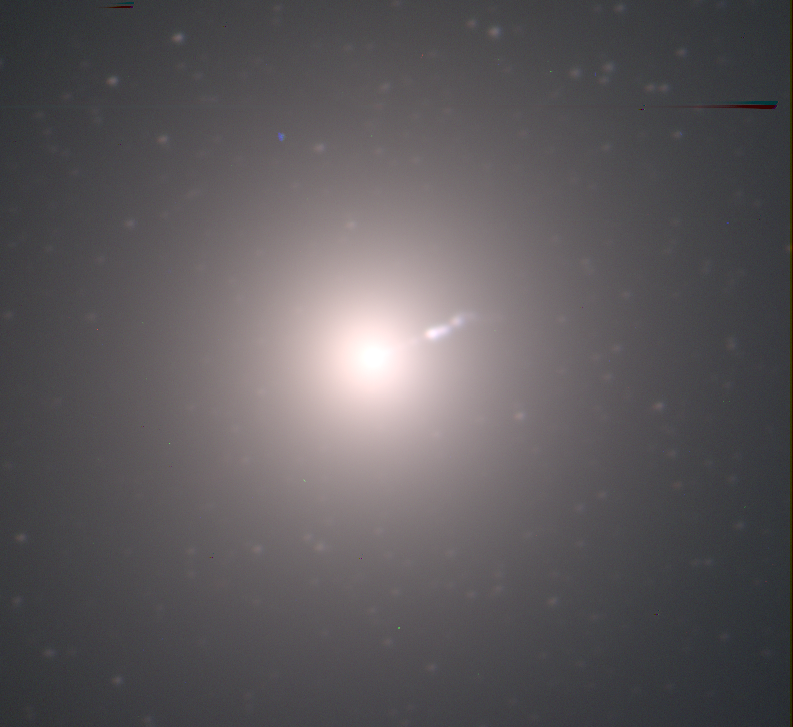 Here's a photo of the whole of the M87 galaxy taken at optical wavelengths. There is a relativistic jet of material coming out of the galaxy - at about the 2 o'clock position on the photo - probably expelled by the central black hole. Much detailed analysis to do I am sure, to check the images against the precise predictions of general relativity. But certainly looks good so far. Shame Stephen Hawking didn't live quite long enough to see this. So, what are we seeing in that black hole image?